Kotaku has reached out to EA Sports for comment and will update this post with any statement the label makes. 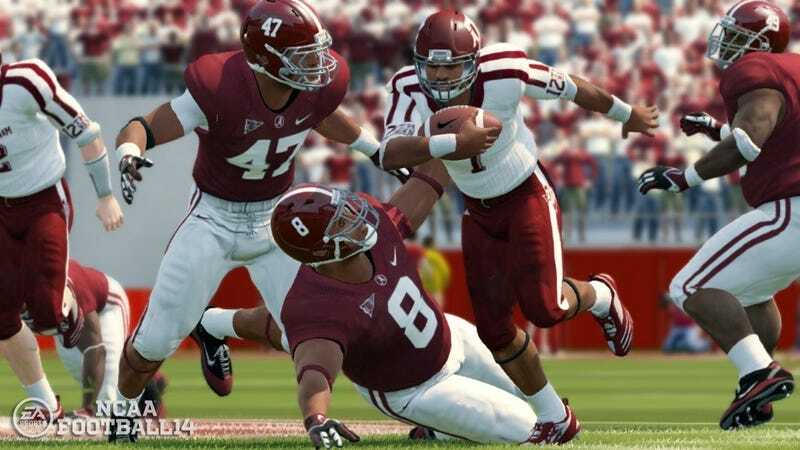 [Update] AL.com, the website of the Birmingham News, contacted every SEC school today to ask for its plans regarding future sports video games. Five have replied. Tennessee and Kentucky said that their relationships have not changed. LSU and Arkansas said they were still evaluating the situation with a decision to come later. Texas A&M was the most explicit, saying it had signed a licensing agreement beginning July 1, 2014 and stretching to June 30, 2017.